Whether you are at home or at work, climate control is essential for creating a pleasant environment. At J & K Mechanical, we provide a range of high-quality heating and cooling systems designed for your individual climate preferences and budget. It all starts with us carefully evaluating your residential or commercial space. We then offer honest and dependable recommendations on how you can create a comfortable environment all year round while saving money on energy bills. We are a third generation family owned & operated business which was started by our grandfather in 1946. He served as a fighter pilot in Europe during World War 2 & was fortunate enough to live out the American dream they all fought to defend. That's him in our logo & on our trucks. Our solutions are focused on customer needs. We execute with superior craftsmanship & attention to every detail. Just like grandpa. 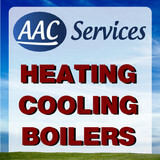 We specialize in residential heating, air conditioning & plumbing. 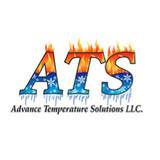 Advance Temperature Solutions is proud to be your local Coleman dealer. We install quality Coleman Heating and Air Conditioning equipment. Not only can we show you how a new system can save you money and keep your home more comfortable, but we can keep it running reliably and efficiently for years to come. We can also show you how affordable it is with easy financing options. Our commitment to quality goes beyond our products - it is also reflected in our reputation for excellence and integrity. At Advance Temperature Solutions we feature the Coleman Echelon line that offers innovative features and stylish looks. Enjoy all of the Coleman Echelon technology including Coleman's WhisperDrive System which makes your unit virtually silent. Residential & Commercial Family Owned & Operated Planned Service Agreements FREE In Home Estimates Professional Installers NATE Certified Technicians Installation and Replacement Competitive Pricing Advance Temperature Solutions is proud to be your local Coleman dealer. We will service your home quickly and keep you informed of any changes, repairs or installations that we perform. Slasor Heating & Cooling, Inc. is a mechanical contracting company that was started in 1935. Jim Powell (President)and Craig Jones (Vice President) took over the business in 1987. In addition to Residential heating and cooling installation and repair service, our company installs and services Commercial H.V.A.C. equipment, custom fabrication and installation of sheet metal duct work, boilers, water heaters, indoor air quality accessories (media and electronic air cleaners, humidifiers, ultra violet lights), zoning systems and controls, ventilation, whole house automatic standby generators, process piping, clean rooms, etc. Pine Tree Heating is a family based business servicing the Lapeer County and closely surrounding areas. We are Lapeer County's premier Fireplace Showroom. Stop in to see our many burning displays! We also handle furnaces and air conditioning in Lapeer County. Stewardship Services "Helping your vision come to pass"
J & J Refrigeration Co., Inc.
We are a family owned and operated HVAC/R contractor since 1967. Founded and located in Clarkston Michigan. 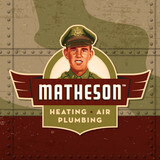 Founded by John J. DiPietro (father) in 1967 to serve commercial refrigeration, residential & commercial heating and air conditioning customers with John C. DiPietro (son) joining the company in 1976 to serve more of the residential market for heating and cooling and to install whole house generators and finally Greg DiPietro (son) joining the company in 1980 to serve more of the commercial heating and cooling markets. Since 1985, Bree's Heating & Cooling we have worked hard to try and satisfy all our costumers in the Detroit and Greater Metro area. We can repair and install all brands of furnaces, air conditioners, hot water tanks, and humidifiers. If you’re looking for a Ann Arbor Cooling & Heating Company that can repair your system, then you should call Bree's Heating & Cooling. We are a locally owned and operated which means that you’ll always get prompt service with clean technicians. Our main goal is to keep you satisfied as we do this through our repair services. Residential & commercial replacement or repair. Pat Walters & Sons is a family owned local HVAC company that offers you honest, professional, and efficient furnace and/or air conditioning services that you need. Our services are provided by highly skilled, reliable technicians. At Pat Walters & Sons, we value our customers and their decisions, we will help you diagnose any problems with your heating and cooling equipment and help you decide which service is best for you to keep your home environment in excellent condition. We work with you in mind. We pay attention to details because it is the little things that make all the difference. We are here to make you comfortable and save you money. Generally, Hamtramck HVAC contractors or HVAC technicians work with or run companies that repair or install heating systems and air conditioning units for homes. But they have specialized services too. For example, if you are a wine collector and you are thinking of installing a wine cellar in your Hamtramck, MI home, you might hire a Michigan HVAC professional who specializes in refrigeration work. HVAC professionals can use their skills to help you to save money on your Hamtramck, MI home’s energy bills by installing radiant barriers in your attic or split-zone heating and cooling systems to heat rooms like solariums while cooling upstairs bedrooms during warmer temperatures. If you or a family member suffers from allergies, you’ll want to find a Michigan HVAC technician who is knowledgeable about the latest cooling and heating products that include antiallergen filters. Contractors who work in the HVAC industry keep up on the latest in heating and air conditioning technology so outdated or troublesome systems can be retrofitted with newer, more energy-efficient models. Some of these professionals may work with your contractor, builder or other home improvement professional to get the job done. Find HVAC contractors on Houzz. Look in the Professionals section of our website and search for Michigan HVAC contractors. Read reviews and see how an HVAC contractor might approach your Hamtramck, MI home’s heating and cooling challenges.